Just call her Dr. Owens from now on! 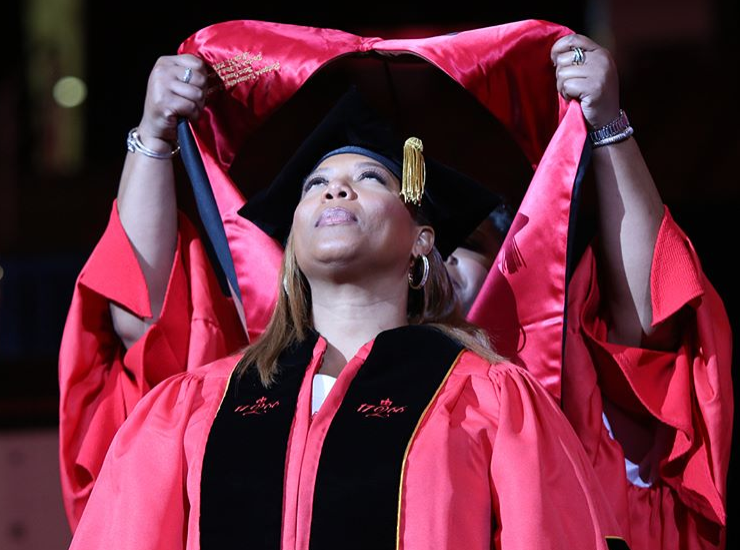 Queen Latifah (real name Dana Owens) was awarded an honorary doctorate from Rutgers University, the largest institution of higher education in New Jersey, and she was tapped to give the keynote address. "Say hello to the Honorary Dr. Dana Owens. 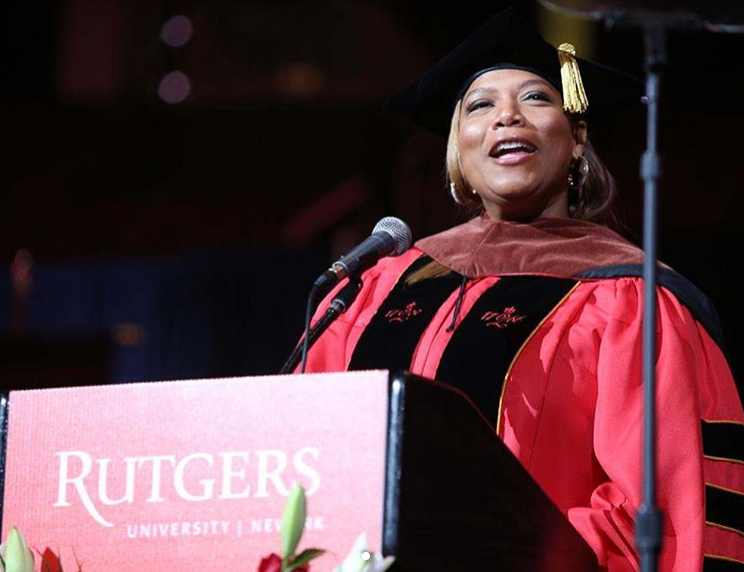 Thank you Rutgers University and congratulations to all of the graduates of the class of 2018!,” the NJ native excitedly wrote on social media. During her speech, the rapper/actress/producer reflected on how New Jersey helped shaped her into the successful woman she is today. In June 2011, Queen delivered the keynote speech at Delaware State University. Now, she's an honorary Dr.! By the way, Queen Latifah is tapped to hit the stage during this year's ESSENCE Festival in New Orleans for the first time in July. 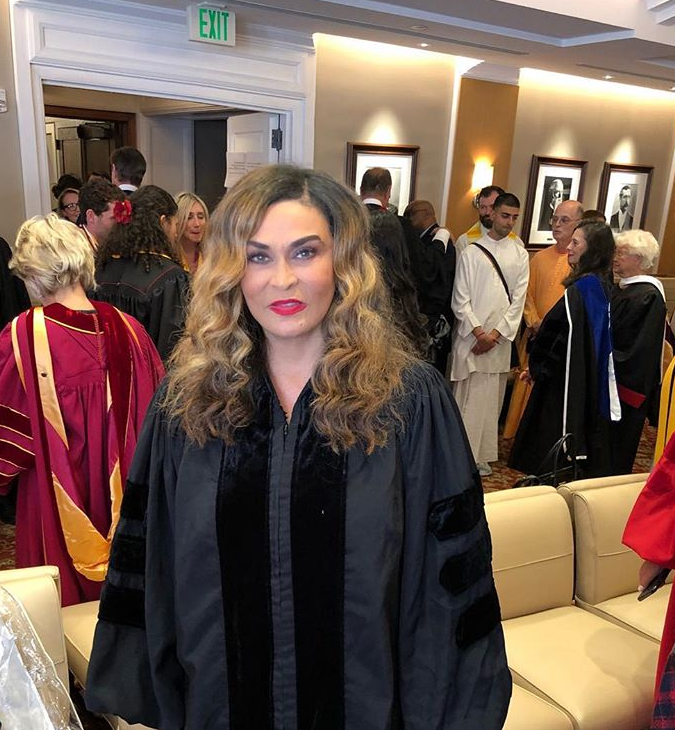 Inspirational philanthropist and fashion designer Tina Knowles Lawson was tapped to deliver the 2018 baccalaureate ceremony keynote for University of Southern California Baccalaureate graduates. However, Mama Tina wasn't all that excited about giving the speech. Why? Well, she didn't think her speech would be accepted since she didn't attend college. After sharing her fears with her husband Richard Lawson, she realized she had gems to offer the 2018 graduating class even though she didn't attend a four year university or college. And she did it! Mama Tina also talked about the importance of mentoring in her life and how it affected her role as Beyoncé and Solange’s mom. 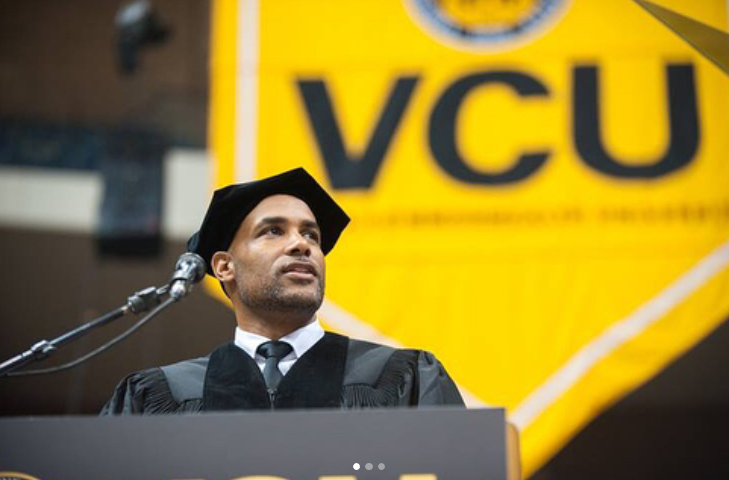 Actor Boris Kodjoe returned to his alma mater, Virigina Commonwealth University (which he attended on a tennis scholarship), to deliver the commencement address. The "Code Black" actor graduated in 1996 with a degree in marketing. And he was inducted into the VCU Athletics Hall of Fame in 2017. He talked about how his journey from a discriminated-against German teenager to VCU to Hollywood actor helped shaped his willingness to step outside of his comfort zone. Oprah delivered the keynote address at the University of Southern California's Annenberg School for Communication and Journalism over the weekend. Check out her full speech above. Swipe through our gallery of graduates below! Photo Gallery // CLASS OF 2018: Celebs & Their Kids Cop Degrees!